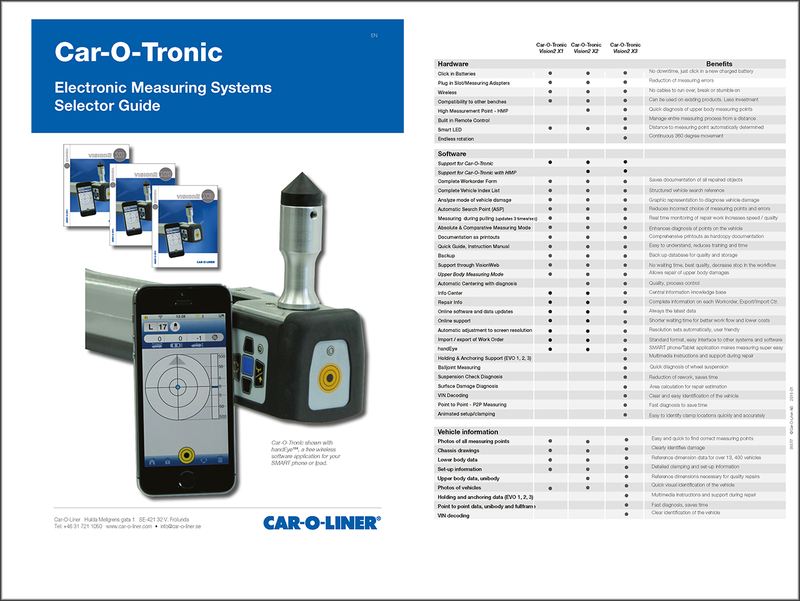 Not sure which Car-O-Tronic measuring system is right for your body shop? Here is a quick overview of the functions and features of each Car-O-Tronic system. At Car-O-Liner you’re sure to find the perfect advanced measuring system for your shop.